As you may know, I've been updating my kitchen lately. 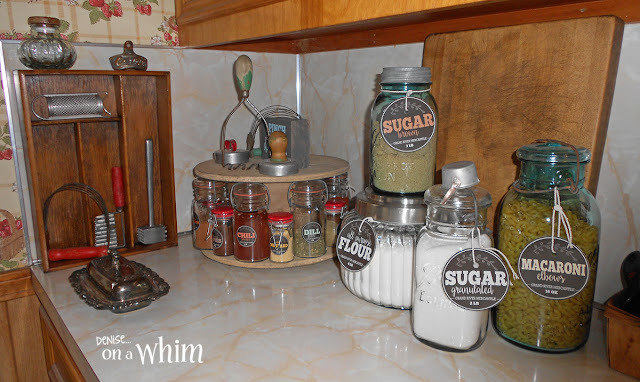 I began my kitchen decor transformation with my new Vintage Inspired Soap Station. Check it out if you haven't already because I think you'll enjoy it! As for my new canisters, well I just love this area of my kitchen now, too! I used 3 Mason jars, 2 for sugar and one for macaroni. I love that one has a galvanized lid and the other 2 have glass clamp-on lids. Sometimes small variations add a nice touch and give your decor a warmer, homier feeling! I purchased one canister from World Market. I loved the vintage-style ribbed glass and simply couldn't resist! 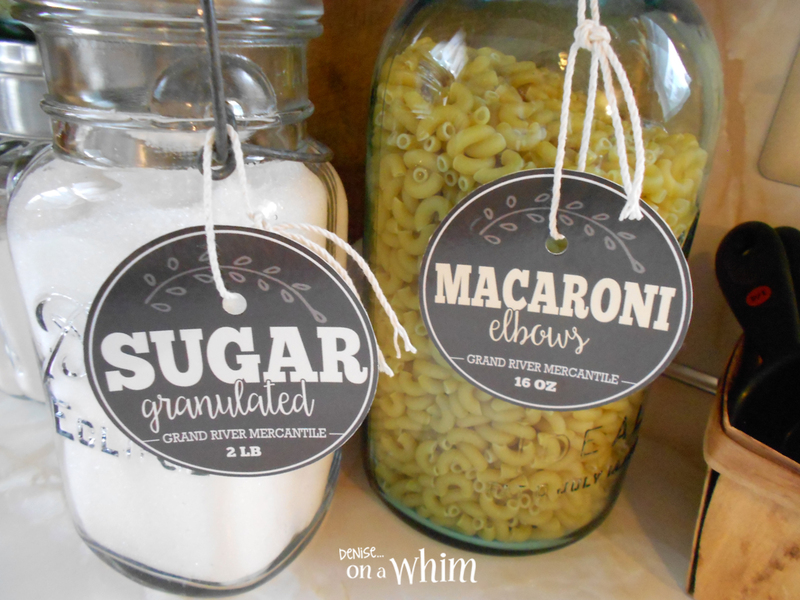 I designed labels for each canister and tied them on the glass jars with bakers twine. I designed the labels with a vintage flare. They're fun and remind me of an old mercantile when I look at them. 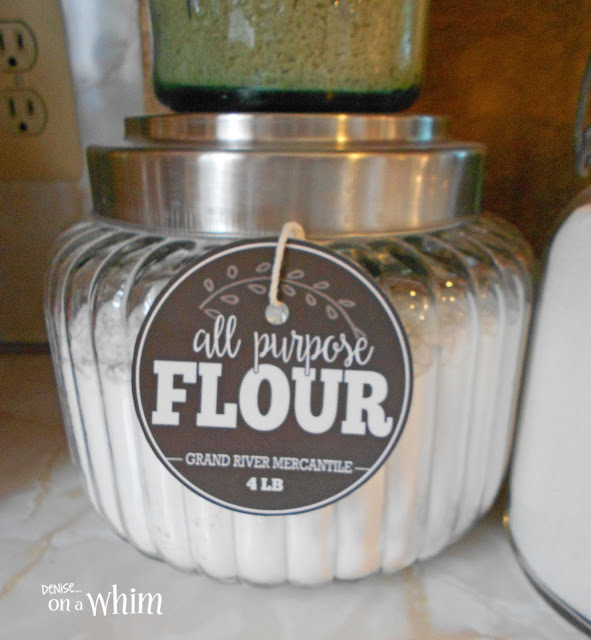 I even added Grand River Mercantile onto the labels to make them seem more authentic. 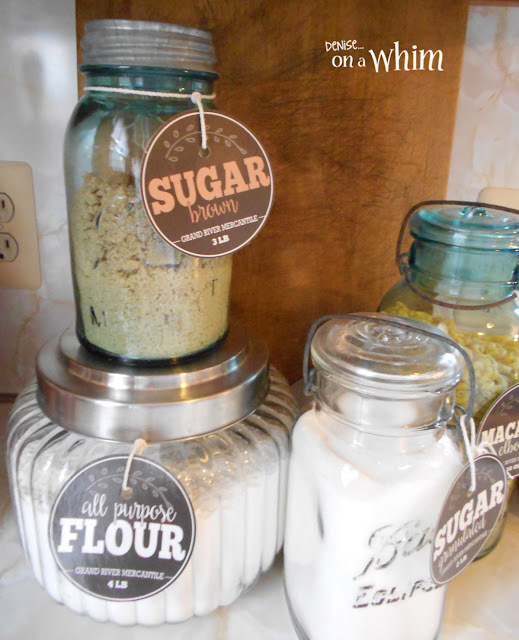 The addition of a dark-stained thrift store cutting board behind the canisters adds some warmth to all the glass. And I love the worn look of it! I placed a few measuring cups and spoons in a berry basket next to the canisters to add a little more vintage wood into the area. 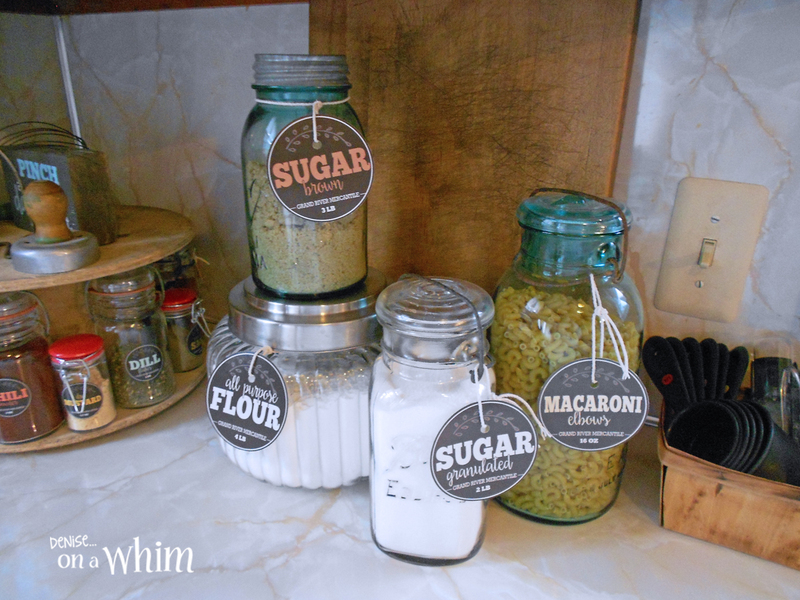 Next to my canisters, sits my updated Mason Jar Spice Rack. I'll be sharing more of that with you this week. But here's a sneak peak! Hope you'll stop back to see the rest of my kitchen updates!